82 ST. MICHAEL 63°27'0"N/ 162°7'0"W 1104-04- Shield volcano A* ST. MICHAEL img. 11 SAND MOUNTAIN FIELD 44°23'0"N/ 121°56'0"W 1202-04= Cinder cones R* SAND MOUNTAIN FIELD <<? 28 TWIN BUTTES 40°46'39"N/ 121°35'26"W 1203-04 Cinder cones Ho? * TWIN BUTTES > ? I began this report in 2011 when the maps were completed . Everything needs a good while to be developed. In November 2011 I decided to make monthly reports those will be updated once per week. From 2012 on, you will find all archived reports( including video sources) by my new archive directory. Its indeed a great task and in real more a "wish than reality " to survey all of the more than 800 active volcanoes worldwide! Thus, also my maps here (based on the weekly GVP report , also cannot necessarely report correctly all current volcano activities. Log on to the local// national survey institutes as listed above to get (hopefully) most recent informations, if needed. page was last modified in SEPTEMBER 2017 : The Smithsonian institute has modified its website ! I have not realised yet, that links to the volcanic knowledge base IN THE REGISTER PANELS (/ right side) were no more working afterwards . I have started to repair and update all the links on some of my regional maps yet ( see Map of Indonesia) and will also (until end of 2017) repair links on this side. 20140623/ note: This project was part of my solar and terrestrial blog related to the peak of the 26. 11 year sun spot cycle in 2013 . Since these activities/ fluctuations are significantly decareasing now, volcano activity in the single collapsible panels on this page will only be updated during extreme events. SPURR Volcano- Geological summary by global volcanism program(USGS/ Smithsonian):AVO reported that a minor increase in seismicity at Spurr was detected at about 0500 on 25 June, lasted about 45 minutes, and was characterized by several discrete M1earthquakes. The signals recorded were consistent with seismic energy generated by an energetic flow of water, possibly indicating a glacial outburst flood on the lower S flank. The next day seismic levels had declined to near background and no additional flowage signals were observed. 2012 JUNE- 25 JUly- 03? KATMAI Volcano- Geological summary by global volcanism program(USGS/ Smithsonian): Prior to 1912, Mount Katmai was a compound stratovolcano with four NE-SW-trending summits, most of which were truncated by caldera collapse in that year. Most of the two overlapping pre-1912 Katmai volcanoes are Pleistocene in age, but Holocene lava flows from a flank vent descend the SE flank of the SW stratovolcano into the Katmai River canyon. Katmai was initially considered to be the source of the Valley of Ten Thousand Smokes ash flow in 1912. However, the 3 x 4 km wide caldera of 1912 is now known to have formed as a result of the voluminous eruption at nearby Novarupta volcano. The steep walled young caldera has a jagged rim that rises 500-1,000 m above the caldera floor and contains a 250-m-deep, still-rising lake. Lake waters have covered a small post-collapse lava dome (Horseshoe Island) that was seen on the caldera floor at the time of the initial ascent to the caldera rim in 1916. Post-1912 glaciers have formed on a bench within Katmai caldera. LITTLE SITKIN Volcano- Geological summary by global volcanism program(USGS/ Smithsonian): Diamond-shaped Little Sitkin Island is bounded by steep cliffs on the east, north, and NE sides. Little Sitkin volcano contains two nested calderas. The older, nearly circular Pleistocene caldera is 4.8 km wide, may have once contained a caldera lake, and was partially filled by a younger cone formed mostly of andesitic and dacitic lava flows. The elliptical younger caldera is 2.7 x 4 km wide; it lies within the eastern part of the older caldera and shares its eastern and southern rim. The younger caldera partially destroyed the lava cone within the first caldera and is of possible early Holocene age. Young-looking dacitic lava flows, erupted in 1828 (Kay, in Wood and Kienle 1990), issued from the central cone within the younger caldera and from a vent on the west flank outside the older caldera. Fumarolic areas are found near the western coast, along the NW margin of the older caldera, and from the summit crater down the southern flank for a 1 km distance. ILIAMNA Volcano- Geological summary by global volcanism program(USGS/ Smithsonian): Iliamna is a prominent, 3053-m-high glacier-covered stratovolcano in Lake Clark National Park on the western side of Cook Inlet, about 225 km SW of Anchorage. Its flat-topped summit is flanked on the south, along a 5-km-long ridge, by the prominent North and South Twin Peaks, satellitic lava dome complexes. The Johnson Glacier dome complex lies on the NE flank. Steep headwalls on the southern and eastern flanks expose an inaccessible cross-section of the volcano. Major glaciers radiate from the summit, and valleys below the summit contain debris-avalanche and lahar deposits. Only a few major Holocene explosive eruptions have occurred from the deeply dissected volcano, which lacks a distinct crater. Most of the reports of historical eruptions may represent plumes from vigorous fumaroles east and SE of the summit, which are often mistaken for eruption columns (Miller et al., 1998). Eruptions producing pyroclastic flows have been dated at as recent as about 300 and 140 years ago (into the historical period), and elevated seismicity accompanying dike emplacement beneath the volcano was recorded in 1996. 2012 OCT- 24 OCT- 30? 2012 MAR 09 APR- 04? ABOUT MOUNT ST HELENS ( geological summary by global volcanism prgram- Smithsonian inst. / USGS:Prior to 1980, Mount St. Helens formed a conical, youthful volcano sometimes known as the Fuji-san of America. During the 1980 eruption the upper 400 m of the summit was removed by slope failure, leaving a 2 x 3.5 km horseshoe-shaped crater now partially filled by a lava dome. Mount St. Helens was formed during nine eruptive periods beginning about 40-50,000 years ago, and has been the most active volcano in the Cascade Range during the Holocene. The modern edifice was constructed during the last 2,200 years, when the volcano produced basaltic as well as andesitic and dacitic products from summit and flank vents. Historical eruptions in the 19th century originated from the Goat Rocks area on the N flank, and were witnessed by early settlers. CVO reported that on 14 February a M 4.3 earthquake near Mount St. Helens, felt widely throughout SW Washington and NW Oregon, was followed over the next few hours by several aftershocks up to M 2.8. The three largest aftershocks were also felt. All of the earthquakes were located about 8 km N of the crater, near the Johnston Ridge Observatory, at depths of about 4-6 km. CVO also noted that a previous earthquake swarm had occurred in the same area on 29 January. The Volcano Alert Level remained at Normal and the Aviation Color Code remained at Green. 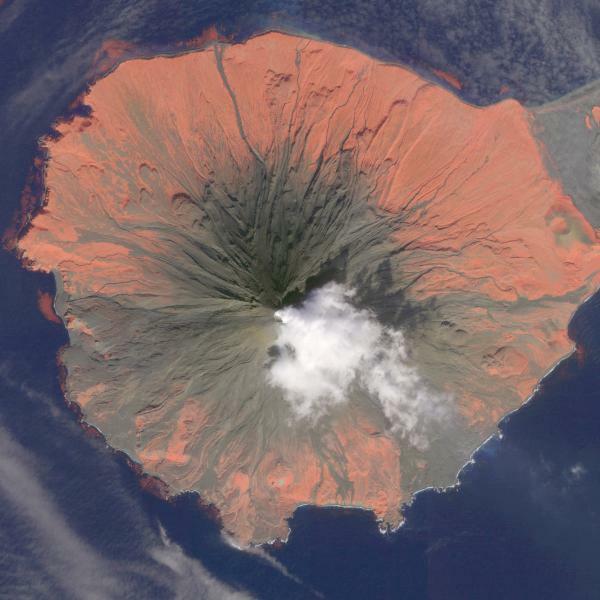 KANAGA Volcano- Geological summary by global volcanism program(USGS/ Smithsonian):Symmetrical Kanaga stratovolcano is situated within the Kanaton caldera at the northern tip of Kanaga Island. The rim of Kanaton caldera forms a 760-m-high arcuate ridge south and east of Kanaga; a lake occupies part of the SE caldera floor. The volume of subaerial dacitic tuff is smaller than would typically be associated with caldera collapse, and deposits of a massive submarine debris avalanche associated with edifice collapse extend nearly 30 km to the NNW. Several fresh lava flows from historical or late prehistorical time descend the flanks of Kanaga, in some cases to the sea. Historical eruptions, most of which are poorly documented, have been recorded since 1763. Kanaga is also noted petrologically for ultramafic inclusions within an outcrop of alkaline basalt SW of the volcano. Fumarolic activity occurs in a circular, 200-m-wide, 60-m-deep summit crater and produces vapor plumes sometimes seen on clear days from Adak, 50 km to the east. 2012 FEB- 18 MAR- 07? VENIAMINOV Volcano- Geological summary by global volcanism program(USGS/ Smithsonian):Massive Veniaminof volcano, one of the highest and largest volcanoes on the Alaska Peninsula, is truncated by a steep-walled, 8 x 11 km, glacier-filled caldera that formed around 3700 years ago. The caldera rim is up to 520 m high on the north, is deeply notched on the west by Cone Glacier, and is covered by an ice sheet on the south. Post-caldera vents are located along a NW-SE zone bisecting the caldera that extends 55 km from near the Bering Sea coast, across the caldera, and down the Pacific flank. Historical eruptions probably all originated from the westernmost and most prominent of two intra-caldera cones, which reaches an elevation of 2156 m and rises about 300 m above the surrounding icefield. The other cone is larger, and has a summit crater or caldera that may reach 2.5 km in diameter, but is more subdued and barely rises above the glacier surface. 2013 OCT- 22 OCT- 23? AVO reported that the ongoing low-level eruption of Veniaminof, characterized by lava effusion and emission of minor amounts of ash and steam, continued during 3-9 July, indicated by nearly continuous volcanic tremor and occasional small explosions detected by the seismic network. Satellite images showed elevated surface temperatures at the cinder cone inside the caldera consistent with lava effusion most days. Images also showed that most of the lava flows traveled S of the cone a short distance (hundreds of meters). 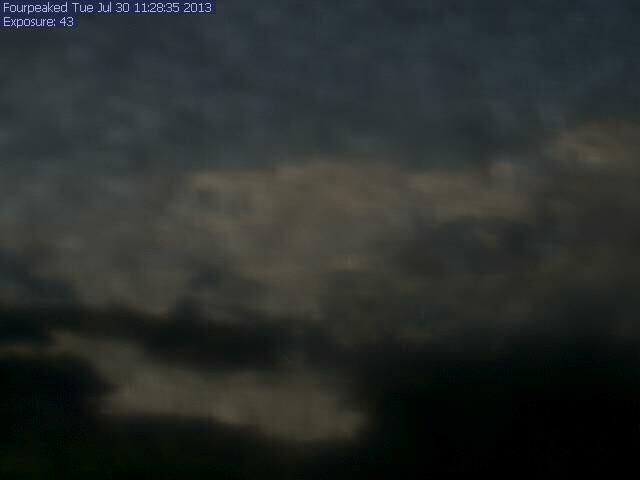 The web camera in Perryville (32 km SSE) recorded very weak emissions of vapor, possibly containing minor amounts of ash, within the caldera for several hours on 9 July. The Volcano Alert Level remained at Watch and the Aviation Color code remained at Orange. SHISHALDIN- Volcano- Geological summary by global volcanism program(USGS/ Smithsonian): The beautifully symmetrical volcano of Shishaldin is the highest and one of the most active volcanoes of the Aleutian Islands. The 2857-m-high, glacier-covered volcano is the westernmost of three large stratovolcanoes along an E-W line in the eastern half of Unimak Island. The Aleuts named the volcano Sisquk, meaning "mountain which points the way when I am lost." A steady steam plume rises from its small summit crater. Constructed atop an older glacially dissected volcano, Shishaldin is Holocene in age and largely basaltic in composition. Remnants of an older ancestral volcano are exposed on the west and NE sides at 1500-1800 m elevation. Shishaldin contains over two dozen pyroclastic cones on its NW flank, which is blanketed by massive aa lava flows. Frequent explosive activity, primarily consisting of strombolian ash eruptions from the small summit crater, but sometimes producing lava flows, has been recorded since the 18th century. AVO reported that although cloud cover occasionally prevented web-cam and satellite observations of Shishaldin's summit area during 7-13 May, periods of elevated surface temperatures and minor steaming were observed. 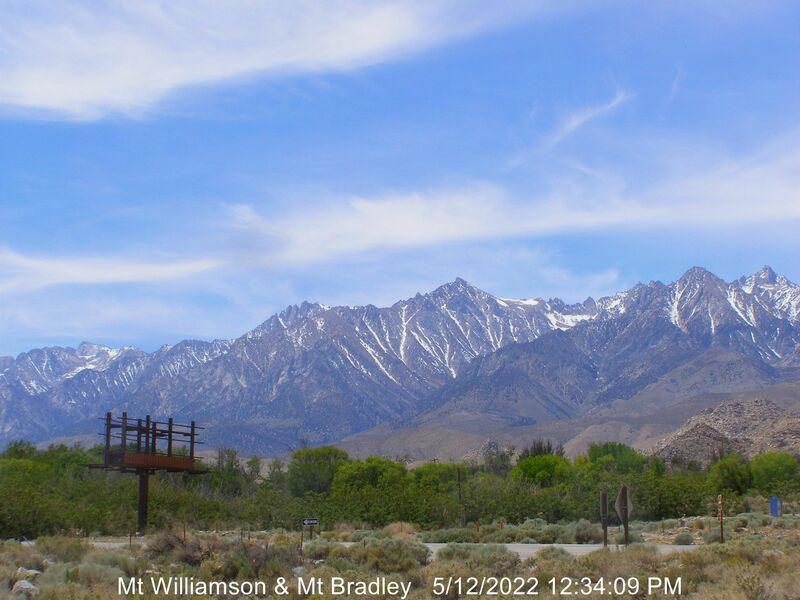 A report from 9 May noted that dark ash-covered snow near the summit was visible on an unspecified day during the past week. A continuous “tremor-like” signal detected during 0430-0630 on 13 May coincided with a distinct increase in surface temperatures, possibly indicating a Strombolian eruption. The Aviation Color Code remained at Orange and the Volcano Alert Level remained at Watch. AVO reported that ground-coupled air waves from small explosions at Shishaldin's summit area were detected in seismic data during 25-27 March, although the energy and rate of occurrence both declined over that time. Elevated surface temperatures were identified in satellite images on 27 March. Based on the elevated surface temperatures and explosions persistent since 18 March AVO raised the Aviation Color Code to Orange and the Volcano Alert Level to Watch on 28 March. Analysis of the data showed that the temperatures were consistent with an eruption of lava within the summit crater. Web-camera images, satellite data, and pilot observations during the previous week indicated only minor steam emissions from the summit crater; there had been no evidence of ash emissions. Explosions were detected during 29-30 March; elevated surface temperatures were identified during 30-31 March. AVO reported that ground-coupled air waves from small explosions at Shishaldin's summit area were detected in seismic data during 19-25 March. Elevated surface temperatures were identified on most days during this period. The Aviation Color Code remained at Yellow and the Volcano Alert Level remained at Advisory. 2014 JAN 30 FEB 18- ? AVO reported that at 1229 on 28 December 2013 an explosion at Cleveland was detected on distant seismic and infrasound instruments. Although satellite images did not detect ash it was possible the explosion generated minor ash emissions. Elevated surface temperatures following the explosion were detected. Another similar explosion was detected at 1906 on 30 December, and a third brief explosion was detected at 1900 on 1 January 2014. Following the second and third explosions, satellite images detected distinct ash plumes, detached from the summit, drifting 75-100 km N at unknown altitudes. On 2 January AVO raised the Volcanic Alert Level to Watch and the Aviation Color Code to Orange. No further activity was detected during 3-7 January. CLEVELAND Volcano- Geological summary by global volcanism program(USGS/ Smithsonian): Symmetrical Mount Cleveland stratovolcano is situated at the western end of the uninhabited dumbbell-shaped Chuginadak Island in the east-central Aleutians. The 1,730-m-high stratovolcano is the highest of the Islands of Four Mountains group and is one of the most active in the Aleutians. Numerous large lava flows descend its flanks. It is possible that some 18th to 19th century eruptions attributed to Carlisle (a volcano located across the Carlisle Pass Strait to the NW) should be ascribed to Cleveland. In 1944 Cleveland produced the only known fatality from an Aleutian eruption. Recent eruptions from Mt. Cleveland have been characterized by short-lived explosive ash emissions, at times accompanied by lava fountaining and lava flows down the flanks. AVO reported that small explosions from Cleveland were detected by infrasound and lightning alarms at 1917 on 24 February and 0135 on 25 February. Small ash clouds from the explosions were detected in satellite images several hours after the events drifting at an altitude of about 5 km (16,000 ft) a.s.l. The Volcanic Alert Level remained at Advisory and the Aviation Color Code remained at Yellow. 2014 FEB 25 FEB 25? 2013 DEC 28 JAN 14? 2013 MAY- 04 JUNE- 04? AVO reported that on 4 May the infrasound network detected three short-duration explosions from Cleveland at 0500, 0717, and 1144. A small, low-altitude ash cloud along with high surface temperatures at the summit were observed in satellite images starting at 0717. In a report posted at 1822 AVO noted that both webcam and satellite images suggested continuous low-level emissions of gas, steam, and minor amounts of ash over the past several hours with a faint plume drifting E below 4.6 km (15,000 ft) a.s.l. The Volcanic Alert Level was raised to Watch and the Aviation Color Code was raised to Orange. On 5 May the amplitude of the Cleveland infrasonic tremor, as measured by the ground-coupled airwaves on the Okmok seismic network, 120 km NE, decreased from its peak activity the evening before. Satellite images again detected continuous low-level emissions of gas, steam, and minor amounts of ash producing a faint plume that drifted E below 4.6 km (15,000 ft) a.s.l. Explosions were detected at 1123 on 5 May and 0800 on 6 May. A thermal anomaly continued to be detected. A news article stated that some airplanes were diverted away from Cleveland. 2013 FEB- 06 MAR- 12? 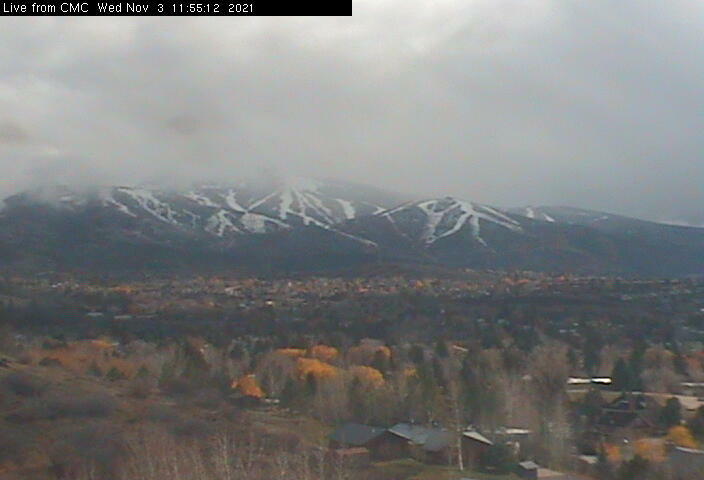 2012 NOV- 10 NOV- 27? AVO reported that on 6 November thermal infrared satellite images of Cleveland showed elevated surface temperatures. Clouds obscure views of the lava dome during 7-9 November. A small ash cloud drifting ENE was detected in satellite imagery at 1147 on 10 November. The Volcano Alert Level was raised to Watch and the Aviation Color Code was raised to Orange. At 1843 the ash cloud was observed almost 100 km S of Dutch Harbor (260 km ENE). No new activity was observed in mostly cloudy images during11-13 November. Post-event analysis of infrasound data suggested that a small explosion likely occurred at 1125 on 10 November. 2012 May- 08? SEP- 11? AVO reported that during 9-12 and 15 May cloudy weather conditions prevented satellite observations of Cleveland's summit crater. Elevated surface temperatures were detected in images on 13 May and possibly the next day. The Volcano Alert Level remained at Watch and the Aviation Color Code remained at Orange. AVO reported that on 28 March the Volcano Alert Level for Cleveland was raised to Watch and the Aviation Color Code was raised to Orange due to the formation of a new lava dome, observed in satellite imagery, which extruded in the summit crater during the previous week. During 29 March-3 April cloud cover prevented observations of the crater. Elevated surface temperatures consistent with a hot lava dome were detected in infrared satellite imagery on 4 April. No seismic information was available because Cleveland does not have a real-time seismic network. 2012 MAR- 20 APR- 27? AVO reported that a small explosion from Cleveland was detected at 1455 on 13 March by distant seismic stations and infrasound arrays. Weather conditions prevented the detection of a possible eruption cloud in satellite images or by visual observation of the summit. No other activity was detected during 14-19 March. The Volcano Alert Level remained at Watch and the Aviation Color Code remained at Orange. No current seismic information was available because Cleveland does not have a real-time seismic network. 2012 JAN 31 MAR- 19? 2011 DEC 28/29 DEC- 10? ANCHORAGE, Alaska, Dec 29 (Reuters) - A remote volcano in Alaska's Aleutian Islands erupted violently early on Thursday, spouting an ash cloud 15,000 feet (4,570 metres) into the sky and prompting an air-traffic alert, scientists said. The Cleveland Volcano, located on an uninhabited island 940 miles (1,500 km) southwest of Anchorage, had been oozing lava and gas since July. 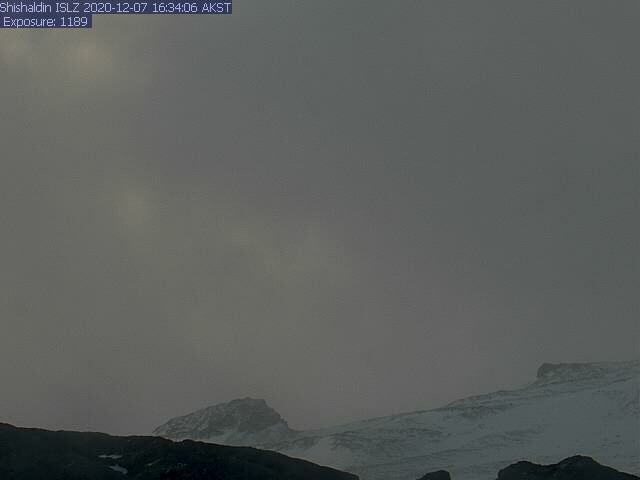 AVO reported that an ash cloud from Cleveland rose to an altitude of 4.6 km (15,000 ft) a.s.l. and drifted 80 km ESE on 29 December. AVO raised the Volcano Alert Level to Watch and the Aviation Color Code to Orange. During 30 December-3 January there were no new signs of explosive activity; the Volcano Alert Level was lowered to Advisory and the Aviation Color Code to Yellow on 30 December. No current seismic information was available because Cleveland does not have a real-time seismic network. 2011 SEP- 21 Nov- 09? AVO reported that during 20-21 September no observations of elevated surface temperatures or ash emissions from Cleveland were visible in partly cloudy satellite images. Clouds obscured views on 22 September. 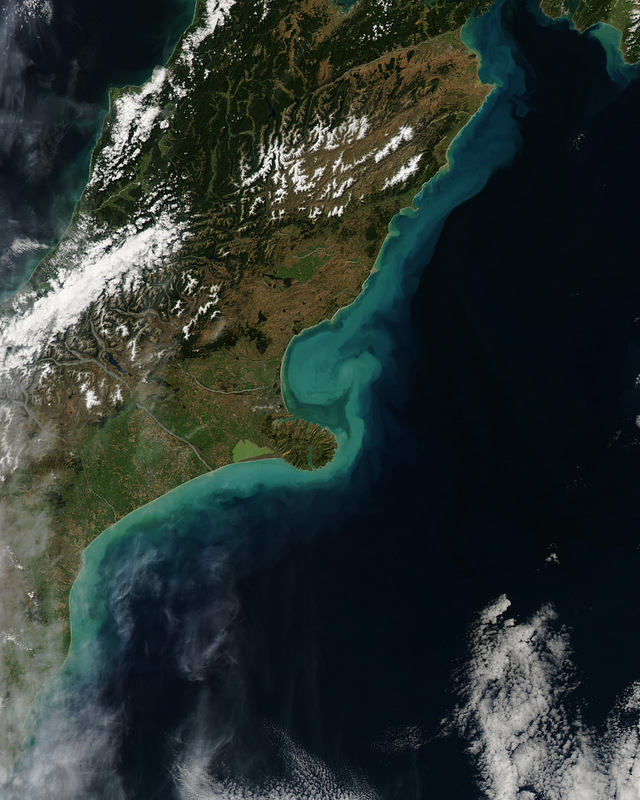 Elevated surface temperatures were observed in satellite images during 23-24 September, suggesting that the lava dome eruption was continuing. On 25 September AVO noted that elevated surface temperatures were not observed in several clear views of the volcano by satellite during the previous 24-hour period. Cloud cover prevented observations on 26 September. On 30 August, AVO reported that satellite observations during the previous two weeks indicated that lava-dome growth at Cleveland had paused. AVO lowered the Volcano Alert Level to Advisory and the Aviation Color Code to Yellow. During 31 August-2 September cloud cover prevented views of the summit crater, but a thermal anomaly at the summit was observed during 3-5 September. Observations on 6 September indicated that the lava dome had resumed growth, reaching 120 m in diameter and filling the floor of the crater. AVO raised the Volcano Alert Level to Watch and the Aviation Color Code to Orange. No current seismic information was available because Cleveland does not have a real-time seismic network. AVO reported that on 20 July the Volcano Alert Level for Cleveland was raised to Advisory, and the Aviation Color Code was raised to Yellow, due to thermal anomalies visible in satellite imagery during 19-20 and 22 July. Cloud cover prevented observations during 21 and 23-26 July. No current seismic information was available because Cleveland does not have a real-time seismic network. On 31 March, AVO lowered the Volcano Alert Level and the Aviation Color Code for Cleveland to Unassigned noting that no eruptive activity had been confirmed during the previous few months. Neither significant thermal anomalies nor ash deposits on snow were observed in recent satellite imagery. PAVLOF Volcano- Geological summary by global volcanism program(USGS/ Smithsonian):The most active volcano of the Aleutian arc, Pavlof is a 2519-m-high Holocene stratovolcano that was constructed along a line of vents extending NE from the Emmons Lake caldera. Pavlof and its twin volcano to the NE, 2142-m-high Pavlof Sister, form a dramatic pair of symmetrical, glacier-covered stratovolcanoes that tower above Pavlof and Volcano bays. A third cone, Little Pavolf, is a smaller volcano on the SW flank of Pavlof volcano, near the rim of Emmons Lake caldera. Unlike Pavlof Sister, Pavlof has been frequently active in historical time, typically producing strombolian to vulcanian explosive eruptions from the summit vents and occasional lava flows. The active vents lie near the summit on the north and east sides. The largest historical eruption of Pavlof took place in 1911, at the end of a 5-year-long eruptive episode; a fissure opened on the northern flank of the volcano, ejecting large blocks and issuing lava flows. According to news articles, ash plumes from Pavlof caused airlines to cancel one flight and reroute six more on 25 June. AVO reported that during 25-26 June seismicity declined, and consisted of intermittent bursts of tremor and occasional small explosions. Satellite images showed a plume containing small amounts of ash drifting NW, and strong thermal anomalies at the summit. Pilot reports on 26 June indicated that plumes rose to altitudes between 6.1-7.6 km (20,000 to 25,000 ft) a.s.l., and then to heights just above the summit later that day. Seismicity during 26 June-1 July continued at low levels and consisted primarily of periodically continuous, low-level tremor. Thermal anomalies at the summit detected in satellite images were strong during 26-29 June and weak during 30 June-1 July. Activity further declined during 1-2 July; tremor and explosions were no longer detected in seismic and pressure sensor data. Satellite images did not detect elevated surface temperatures, volcanic gas, or ash emissions, and there were no visual observations from pilots or from webcam images of any eruptive activity since 26 June. AVO lowered the Aviation Color Code to Yellow and the Volcano Alert Level to Advisory. 2013 MAY- 13 JULY- 02? AVO reported that on 13 May seismicity at Pavlof increased at 0800 commensurate with the presence of an intense thermal anomaly at the summit observed in satellite imagery. Several spikes in seismicity occurred between 0900 and 1000. AVO noted that similar patterns of seismicity and elevated surface temperatures have previously signaled the onset of eruptive activity at Pavlof. Although not yet visually confirmed at the time of the report, a low-level eruption of lava had likely begun from a summit vent. No ash clouds were detected. The Volcanic Alert Level was increased Watch and the Aviation Color Code was increased Orange. On 14 May pilot reports and satellite images confirmed activity; a spatter-fed lava flow advanced about 0.5 km down the N flank. Minor steam-and-ash emissions from the summit were visible from Cold Bay (60 km SW). KILAUEA Volcano- Geological summary by global volcanism program(USGS/ Smithsonian):HVO reported that two lava lakes at Kilauea were active during 20-26 July. The level of the summit lava lake fluctuated deep in the 150-m-diameter vent inset within the E wall of Halema'uma'u Crater and circulated with various patterns. Spattering occurred at locations along the edge of the lake. Periodic measurements indicated that the gas plume from the vent continued to deposit variable amounts of ash and occasionally fresh spatter nearby. At Pu'u 'O'o, lava from vents near the NE edge of the perched lava lake in the center of the crater floor continued to fill the circulating lake. The perched lake and crater floor continued to be uplifted and cracks on the doming crater floor were observed. Minor lava activity was noted in the Puka Nui and MLK pits, smaller craters to the W of the main Pu'u 'O'o crater. Based on several measurements throughout July, the crater floor was uplifted about 0.5-1 m per day. During 7-13 May HVO reported that the circulating lava lake occasionally rose and fell in the deep pit within Kilauea's Halema'uma'u Crater. Gas emissions remained elevated. The plume from the vent continued to deposit variable amounts of ash, spatter, and Pele's hair onto nearby areas; smaller particles may have been dropped several kilometers away. At Pu'u 'O'o Crater, glow emanated from spatter cones on the N and S portions of the crater floor, and from the lava pond in the NE spatter cone. The S spatter cone periodically erupted lava flows that overflowed on the N flanks and extended from the S base of the cone. The N cone ejected spatter. The Kahauale’a 2 lava flow continued to advance, with breakouts from the main stalled lobe, and burn adjoining forest. On 5 May geologists mapped the farthest point of activity, 8.6 km NE of Pu’u 'O'o. During 26 December-1 January HVO reported that the circulating lava lake periodically rose and fell in the deep pit within Kilauea's Halema'uma'u Crater. The gas plume from the vent continued to deposit variable amounts of ash, spatter, and Pele's hair onto nearby areas. At Pu'u 'O'o Crater, glow emanated from spatter cones on the SE part of the crater floor, from a spatter cone at the NW edge of the floor, and from a circulating lava lake on the NE part of the floor. The lava lake briefly overflowed on 27 December. During 29-30 December lava flowed from the easternmost spatter cone in the S part of the crater floor. Lava flows were active in a 1-km-wide area that stretched from near the base of the pali to the coast. During 28-30 December web cameras recorded infrequent and weak steam plumes from lava sporadically entering the ocean at multiple locations. During 19-25 December HVO reported that on most days the circulating lava lake periodically rose and fell in the deep pit within Kilauea's Halema'uma'u Crater. The gas plume from the vent continued to deposit variable amounts of ash, spatter, and Pele's hair onto nearby areas. At Pu'u 'O'o Crater, glow emanated from spatter cones on the SE part of the crater floor, from a spatter cone at the NW edge of the floor, and from a circulating lava lake on the NE part of the floor. During 21-24 December a few brief and short lava flows issued from the spatter cones at the S edge of the crater floor. Lava flows were active in a 1-km-wide area that stretched from near the base of the pali to the coast. There were no webcam recordings of any ocean entry plumes or reports suggesting that lava had been entering the ocean since 17 December. During 21-27 November HVO reported that the circulating lava lake periodically rose and fell in the deep pit within Kilauea's Halema'uma'u Crater. Occasional measurements indicated that the gas plume from the vent continued to deposit variable amounts of ash, spatter, and Pele's hair onto nearby areas. At Pu'u 'O'o Crater, lava circulated within the perched lava lake at the NE part of the crater, and glow emanated from vents at the S edge of the crater floor and from a spatter cone at the N edge. A small lava flow issued from the E vent at the S edge of the crater floor on 24 November. The easternmost of two lava flows on the coastal plain entered the ocean on 24 November in an area 500 m E of the easternmost border of Hawai'i Volcanoes National Park. Steam plumes rose from the entry point during 25-26 November, suggesting lava continued to enter the ocean. A plume was absent on the morning of 27 November. HVO reported that on 3 August at 1402 the floor of Kilauea's Pu'u 'O'o crater, which had risen significantly over the past month, began to subside. At 1420 lava erupted from a vent low on the W flank of the Pu'u 'O'o cone, about halfway between Pu'u 'O'o Crater and the E end of the Kamoamoa fissure, and formed two branches. The weaker flow traveled N into a forested kipuka. The higher-volume S branch quickly advanced down Kilauea's S flank along the edge of flows erupted during 2002-2004. By 1515, the crater floor and perched lava lake began to collapse; the circulation in the lava lake was maintained as the crater floor dropped. Within a few hours the lava lake was no longer visible and the crater floor, which had dropped 75-85 m, was covered with rubble. Between 1530 and 1615, the preliminary sulfur dioxide emission rate from all east rift zone sources was as high as 7,000 tonnes/day. The rate decreased to 4,000 tonnes/day at about 1700. Also by that time the lava flow had advanced 3.6 km. During 4-9 August lava continued to flow from multiple W-flank vents topped with spatter cones, ponding in a low area due to a decreasing effusion rate. The Pu'u 'O'o crater rim was extremely unstable; continued collapses along the crater walls sendt blocks of rock onto the crater floor. Lava also slowly flowed back onto the collapsed crater floor. During 3-9 August the level of the summit lava lake fluctuated deep in the 150-m-diameter vent inset within the E wall of Halema'uma'u Crater and circulated with various patterns. Overall, the lake level receded and on 6 August was about 75 m below the crater floor. Periodic measurements indicated that the gas plume from the vent continued to deposit variable amounts of ash and occasionally fresh spatter nearby. 2011 APRIL 20 APRIL- 26? HVO reported that lava in the deep pit within Kilauea's Halema'uma'u crater was visible on 5 April and rose, fell, and circulated within the pit during 6-12 April. At Pu'u 'O'o crater, the level of the lava lake rose and fell, and was fed from a source in the central portion of the lake. During 5-8 April a gas plume from the vent deposited very small amounts of ash nearby, derived from rockfalls and occasional spatter from the lake. During 9-15 February, activity continued from the summit caldera and east rift zone. At the summit caldera, the level of the lava-pool surface in the deep pit within Halema'uma'u crater circulated and periodically changed depth. The highest level the lava rose to 72 m below the crater floor. 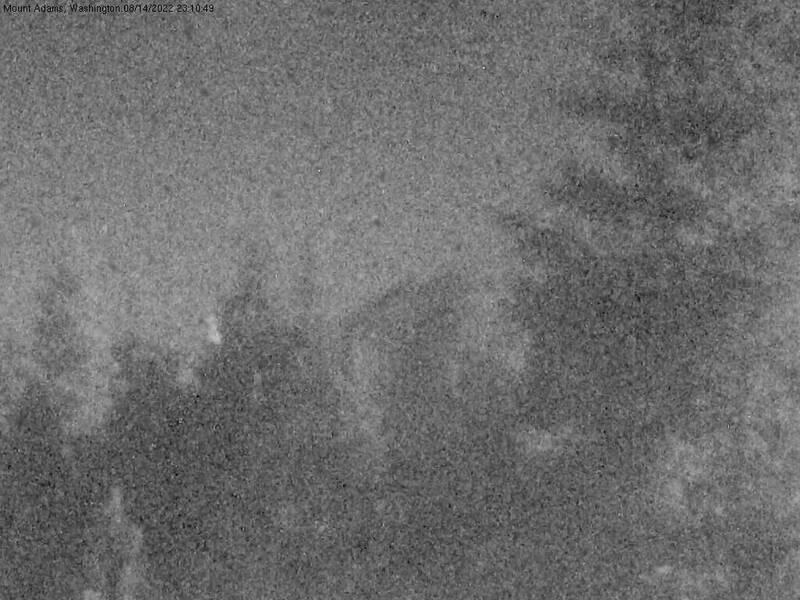 Nighttime incandescence was visible from the Jaggar Museum on the NW caldera rim. A plume from the vent drifted mostly W and deposited ash and fresh spatter nearby. At the east rift zone, lava flows continued from one of the upper rootless shields, near the TEB vent. Two branches of the 29 November lava flow (a lava tube breach at 366 m elevation) produced scattered surface flows on the pali and coastal plain. In Pu'u 'O'o crater, incandescence emanated from a cone on the N portion of the crater floor, lava effused from a cone on the W edge of the floor, and spatter and lava flows were produced from a vent in the E crater wall. On 12 February increased activity from a cone on the N floor was characterized by lava flows and incandescent tephra ejected 40-50 m above the cone. During 14-15 February lava from a NE cone covered the E half of the crater floor.